Emmanuel Press is now accepting submissions of book reviews to be posted here on our website and also on our Facebook page. Subjects of interest include Lutheran theology, liturgy, hymnody, translations, and pastoral care resources. Whether you have written a review or are a self-published author having your book reviewed, please send submissions to emmanuelpress@gmail.com for consideration. Be sure to read the inaugural review: The Lutheran High Church Movement in Germany and its Liturgical Work: an Introduction. 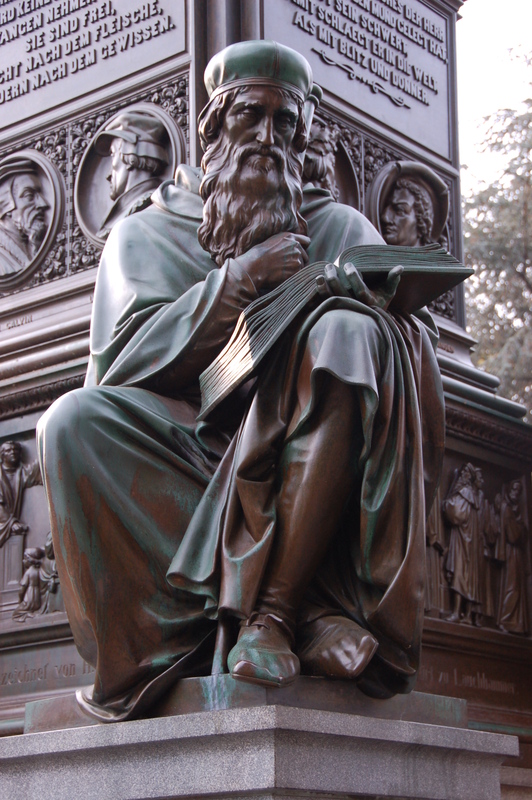 *photo of John Wycliffe (translator and publisher of the first English Bible in 1382) from the Luther Monument in Worms, Germany. This entry was posted in Latest News and tagged Book review. Bookmark the permalink.